Oregon is expected this week to become the first state to cap how much landlords can raise rents. As early as Monday, the state House of Representatives is likely to pass rent control legislation that has already passed the Senate and earned the promise of the governor's signature. 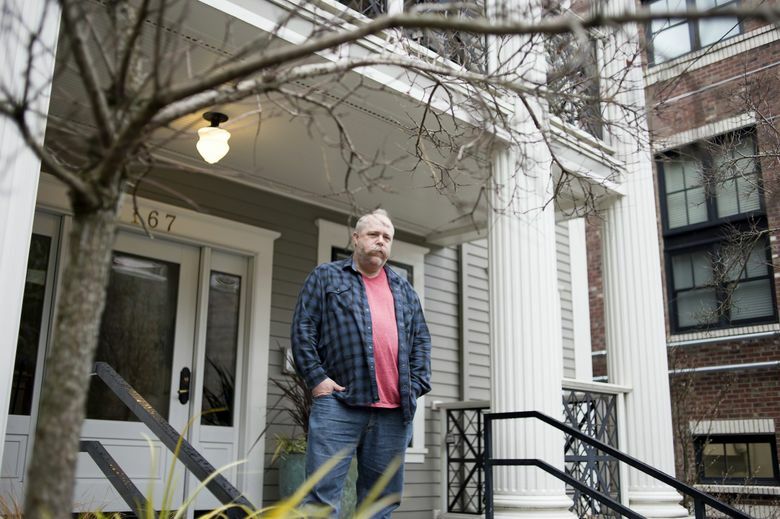 PORTLAND, Ore. — Andy Mangels had been living in his modest apartment near downtown Portland for three decades when the news arrived a few days before Christmas: His rent was being raised by 113 percent. Now Mangels, 52, has a little more than a month to find a new place in the city’s supercharged rental housing market, where median rents have risen 30 percent since 2011, adjusted for inflation, and the sight of people living out of cars or in tents pitched alongside highways has become common. In an effort to halt runaway housing costs and curtail evictions, Oregon is expected this week to become the first state in the nation to cap how much landlords can raise rents. As early as Monday, the state House of Representatives is likely to pass rent control legislation that has already been approved by the state Senate. Gov. Kate Brown, a Democrat, has said she would sign it. The legislation comes as states and cities around the nation search desperately for answers to a growing crisis in which rising rents have outstripped wages. Nationwide, median rents have risen more than $1,000 since 2006. In states with capitals controlled by Democrats, like Oregon, leaders are pushing laws that would limit rent increases, over the objections of landlords who say the rules would threaten their livelihoods. In California, Gov. Gavin Newsom, a Democrat, has called for $1 billion in tax credits and new home construction to aid middle-class home buyers, and the state Legislature is mulling its own plans to stabilize the state’s overheated rental housing market. Illinois is contemplating ending a statewide ban on local rent control laws, and in New York, Gov. Andrew Cuomo, a Democrat, has said he intends to strengthen existing rent regulations to keep apartment prices stable. Three-quarters of the nation’s mayors say that a lack of affordable housing is a significant concern in their cities. Boston is proposing steep taxes on developers. Denver is studying proposals to allow more carriage houses — detached separate living units on the same lot as a house — which are far cheaper to build than typical single-family residences. In the 1980s and 1990s, many states began banning cities from setting local limits on rent increases, encouraged in part by the American Legislative Exchange Council, which advocates for laws that limit government and boost free markets. Oregon would become the first state to impose a statewide rent control policy, but such rules have been common for decades in large U.S. cities including New York, Washington, Los Angeles and San Francisco. 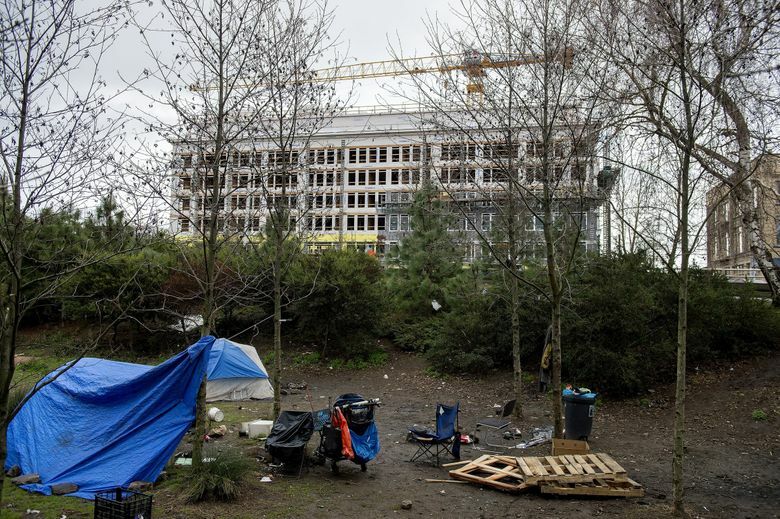 In the Portland metropolitan area, which is growing by more than 30,000 people a year, the housing problem is especially acute. 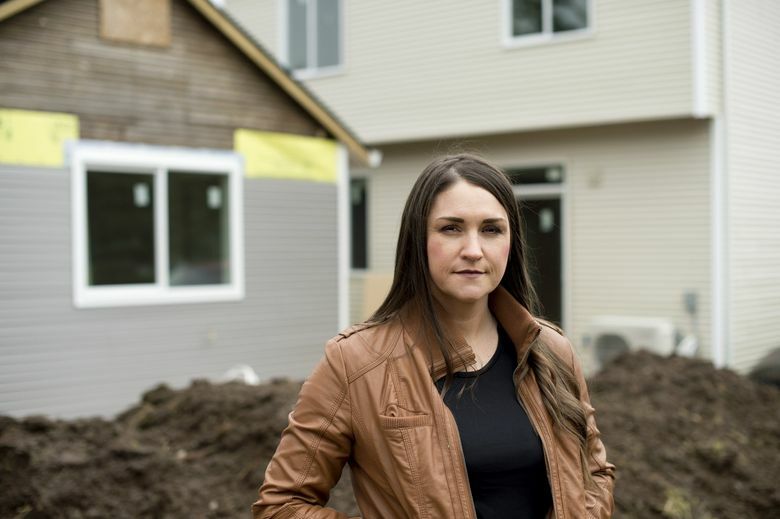 But the problem has spread beyond Portland, the state’s largest city with 650,000 residents, as the median rent has increased by more than 14 percent statewide in recent years. In Talent, a city of 6,500 in southern Oregon, one in three residents spends more than half of his or her income on housing. Rents in Bend, one of the 10 fastest growing metropolitan areas in the nation, have climbed by more than 21 percent in the past three years. In Medford, the rental vacancy rate is less than 2 percent. And students at the University of Oregon in Eugene say pricey apartments have forced them to live in towns as far as an hour’s drive from campus. Mark Gamba, mayor of Milwaukie, a suburb of Portland, said the desperation among tenants there was palpable. “Tourniquets like this are needed to stop the bleeding,” he said of the state rent control legislation. Still, some landlords say that the legislation will compel owners to take their properties off the rental market because they will no longer be able to earn enough rent from them — deepening the housing crisis rather than easing it. “Rent control is not going to work over the long haul,” said John DiLorenzo, who owns about 240 apartment units and is a lobbyist for landlords. DiLorenzo said his primary fear is that lawmakers will ultimately bar rents from rising more than a bare minimum, which would prevent landlords from meeting their expenses and eventually drive them out of business. The real solution to rising rents, he said, is to make it easier to build decent and affordable housing in Oregon by eliminating a multitude of fees and regulations. Even so, some of the state’s largest property owners’ groups have chosen not to oppose the bill, and are remaining neutral instead, saying that they recognize the scope of the housing problem. “I do not believe it will be catastrophic to our livelihood,” said Jim Straub, legislative director of the Oregon Rental Housing Association. The legislation would limit rent increases to 7 percent annually plus the change in the Consumer Price Index, which is currently rising about 3 percent a year. Apartment buildings with fewer than five units would be exempt, as would housing complexes that are less than 15 years old. The bill would also sharply reduce the circumstances in which tenants can be evicted. Even as the state’s economy hums along, with unemployment at only 4 percent, Oregon has been unable to significantly chip away at its stubbornly high 16.5 percent poverty rate. Wages have not kept pace with housing costs. In an interview, Brown said the popularity of the state with newcomers, many of whom earn high wages, has been a mixed blessing. Portland, the epicenter of the state’s crisis, has independently enacted some of the nation’s strongest tenant protections. One law requires landlords to pay moving costs of up to $4,500 if they evict people without providing a reason, or if they raise rents more than 10 percent. Portland has been short of affordable housing for a long time. Shemia Fagan, a state senator who is one of the bill’s chief sponsors, told colleagues this month during a public hearing that when she was 15 in 1997, her mother invited her to what she told her daughter was her new house. Her mother had struggled for years with drug addiction and homelessness. At the house — a grand Victorian with a wraparound porch — Fagan and her brother were greeted joyfully by their mother. But instead of going in the front door, her mother got down on her knees and crawled under the porch, gesturing for her children to follow. Her mother, Fagan said, was living under the porch. She spread out a sleeping bag there, and the three of them spent the afternoon on it, talking. After years of wandering, Fagan said, her mother was proud to have found somewhere safe and relatively secure to live, even if it was beneath someone else’s house. Tenants’ advocacy groups point out that the potential rent increases allowed under the state bill — which could be 10 percent or more each year — are far more generous to landlords than those allowed in New York or San Francisco. “There are a lot of folks on the ground who believe it doesn’t go far enough, but we agree it is a necessary first step,” said Katrina Holland, executive director of the Community Alliance of Tenants, a statewide tenants’ rights organization. Explanations for the state’s housing crunch are numerous: a dearth of new home construction over the past decade; limited protections for tenants; a lack of investment in affordable housing; and restrictive land-use policies in Oregon that are intended to prevent urban sprawl, but also prohibit new housing in wide swaths of the state. Still, those land-use laws are held so dear by Oregonians that they are unlikely to be challenged any time soon. “A lot of people blame the state’s land-use laws, but if we didn’t have land-use planning, we would not have a wine industry, because houses would have been built on those southern-facing slopes” where there are now vineyards, said Brown, who has been governor since 2015. 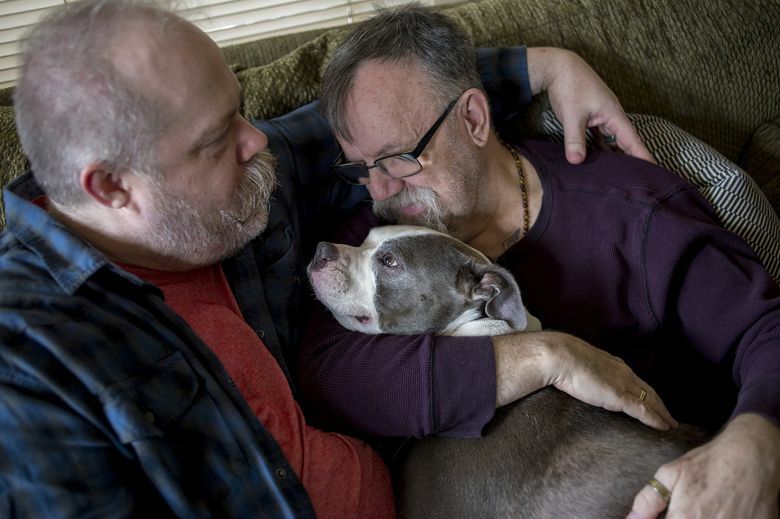 In the Goose Hollow neighborhood of Portland, Mangels, the man whose landlord announced a huge rent increase, and his husband, Don Hood, 61, are desperately searching for a new place to live. Mangels described his situation in hearings before lawmakers as they weighed Oregon’s legislation. After their nine-unit building was bought for $2.6 million in December (up from about $1 million when it changed hands in 2006, according to property records), the new owner raised their rent to $1,600 a month from $750. A representative for the owner did not respond to numerous calls and email messages requesting comment. The rent control bill in the legislature would take effect too late to help Mangels and Hood. The couple’s apartment has not been renovated in years. Red duct tape keeps the freezer door closed. The floor around the toilet is rotting. The carpet, in place since the early 1980s, is missing sections. Mangels earns about $35,000 a year working for the state as a caregiver. His husband, a veteran, is disabled. Both men are in poor health. Mangels said the stress from what may be impending homelessness has raised his blood pressure to dangerous levels. They must be out by April 12.